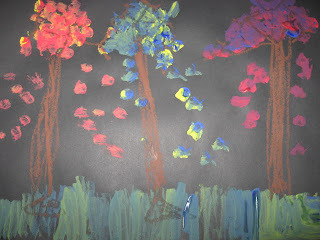 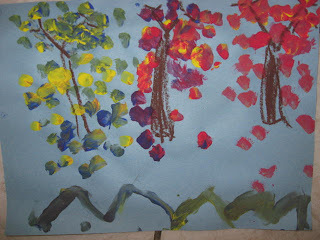 These beautiful trees were created using only primary colors, "double dipping" their brushes to create trees in green, orange and purple. 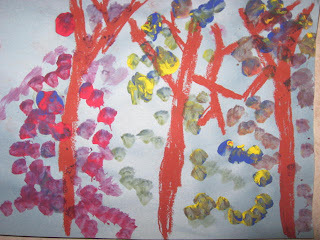 I love how this project was a lesson in color mixing for my Pre K's - 1st Graders, as well as a quick lesson in Impressionism. 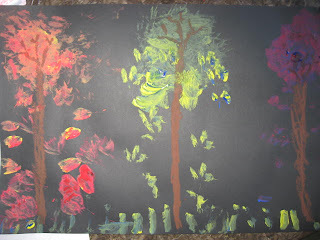 I brought out the book,"Lydia in Monet's Garden" to show some examples of the strong display of brush strokes.